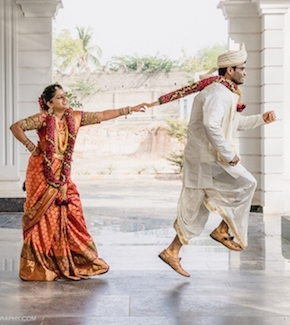 Weddings in India are always high energy, colorful affairs. From the bright decorations to the variation in food, every feature of the wedding is prepared to give a sight of joy and celebration for the guests. 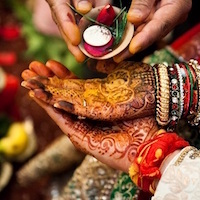 Indian wedding dresses also throw back the atmosphere of happiness and enjoyment and are one of the most interesting characteristics of the ceremony. What sets Indian wedding outfits apart from other ethnic party dresses is that they exhibit a balanced combination of tradition and glamour. Fashion wear collection for the Indian bride is designed to be very beautiful and admirable to match the wedding atmosphere. They frequently come decorated with fine and sparkling Indian work which comprises of regional thread-work and adornments forms. 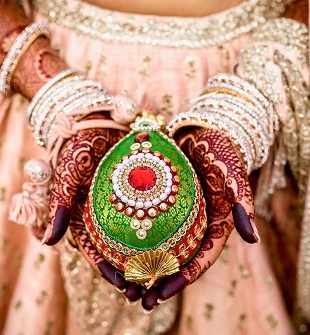 Indian wedding garments are also generally very glitteringly colored or at the very least. They incorporate some ravishing hues or tints to produce a fascinating visual contrast. The impressive varieties of wedding outfits for the Indian bride can be browsed on the basis of a number of factors including color, patterns, designs and profiles. The most graceful and traditional selection are the wedding sarees among the list of fashion wear collection for the Indian bride. They are permanently stylish and are contemplated as a simple and safe choice for any special celebration. Designer wedding sarees come in an extensive variety of fabrics, including satin, net, tissue, lace, chiffon, georgette and crepe. These are frequently more modern in their appearance, incorporating dual tones, modern profiles, and western magnificent designs. These sort of wedding sarees also incorporate more modern adornments such as crystal borders, sequins designs, beads patterns and stone pallu designs. Women who desire stand out from the crowd often decide to wear a wedding lehenga with a precariously cut choli. Bridal lehenga collection is generally very royal and elaborate, created used zardosi, zari, ek taar, cut dana, gota patti, booti and other traditional Indian patterns. The abundance of the bridal lehenga designs is balanced out with a choli with a modern corset like design that focuses the figure of the woman. The selections comprise of the classic straight cut, traditional circular cut, the stylish a-line or the svelte mermaid cut. One can easily shop from online as nowadays it is the easiest way to shop as one can find bridal lehenga with price intact so that you can choose according to your needs. Wedding salwar kameez is also very popular because of their appropriate blend of comfort and style. The most famous variety for the wedding is ‘Anarkali’ salwar kameez which comes with a beautiful silhouette that is both fashionable and always complimentary. Wedding salwar kameez are made with the finest fabrics like silk, chiffon, georgette, satin and velvet and come adorned with fine designs of gold and silver embroidery. To achieve the apt final look, women have to emphasis on the styling as well as the outfit. Wedding jewellery tends to be quite shimmery and glam in its look and is usually made of gold, silver, gems, stones and crystals. The major trend at the moment is to pick just one piece of stunning jewellery and utilize that as an accessory. The jewellery selected should enhance the Indian wedding outfit and should not sweep someone off their feet. Do let us know in the comment section about our suggestions and ideas for the Fashion Wear Collection for the Indian Bride and we would be happy to incorporate them in our blog.